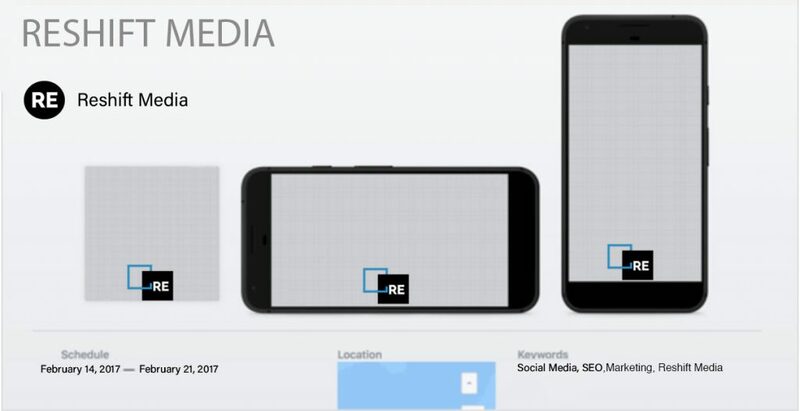 How To Use Facebook Frames To Promote Your Brand | Reshift Media Inc.
Have you considered using Facebook frames on your business page? 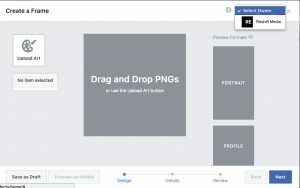 Facebook’s Frame Studio lets you design custom frames to overlay on Facebook Stories, photos and profile pictures. You can use them on your own content, and you can also share them with your fans to use. Frames are similar to Snapchat filters, in that they allow you to create visual overlays with text and graphics to promote your brand. They key difference between Snapchat filters and Facebook frames is that there is no cost to use Facebook Frame Studio, and the frames don’t expire unless you want them to. 1) Before jumping into Facebook’s Frame Studio, you need to create a design. It is recommended to have a professional designer draw up a few rough sketches on the look of your frame and then have them make the design on Adobe Photoshop or Adobe Illustrator. 2) After you finish creating the design, go to the home page of the Facebook’s ‘Camera Effect’ page. On the upper-right corner of your page, Click Open Frame Studio. 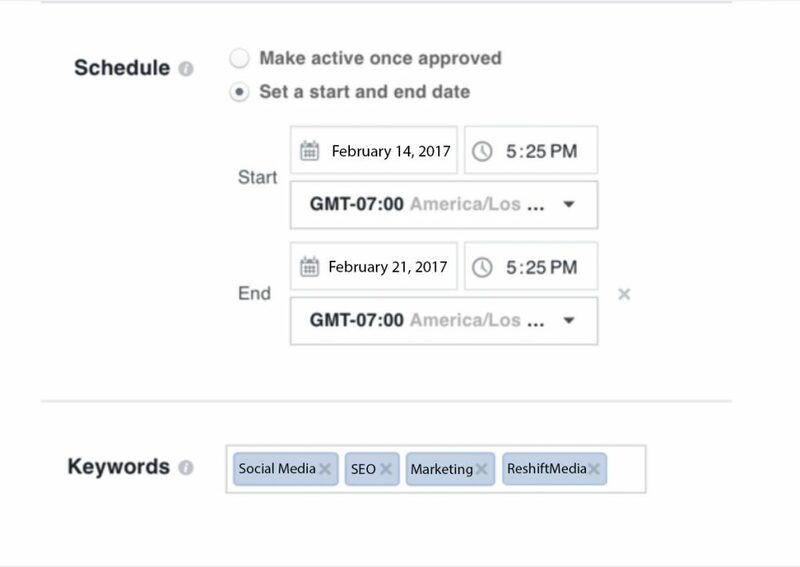 3) You can manage which Facebook Profile, Business Page or Event page you’d like create your frame for from the dropdown menu located at the top right corner of the page. To upload your design click Upload Art and place your design on the page. 4) You can upload several art elements in your Frame (PNG format) and the elements can be resized and moved around. After placing your elements in the desired area, click next. 5) A new screen will pop up where you can name the frame and link it to the Facebook account or page that you want your frame to be associated to. 7) In the next section, you can set a start and end time for when you want your frame to be active (if your frame is associated with a specific event or holiday). You can also choose up to 10 keywords for your frame so that users are able to find it. 8) Hit next and preview the frame before submitting it. After submitting, you cannot make any chances to the frame. You can only change the time that you want it to appear. Once your frame is approved by Facebook, it can be used by you and your followers. Promote illegal products/drugs, weapons, etc. The review process for your Facebook Frame is usually 1-3 days but it can take up to a week. How can people use your frame? You can view and manage your frames by going to the main page of The Frame Studio, on the top right corner, and click ‘manage’ to locate your frames. If you click on the frame, there will be a shareable link for that frame. You can share this link in a post to your followers so they can try out the frame. Once it’s approved, your frame is available for you and your followers to use. To use your frame, launch your Facebook app and select the camera. Before or after you take a photo, tap on the magic wand located at the bottom left of your screen and it will show a list of frames. 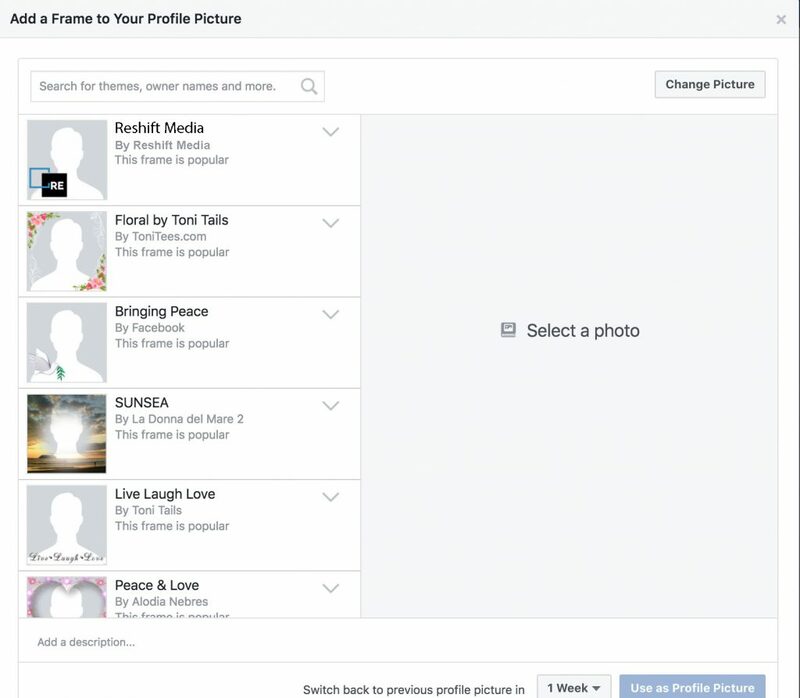 Users can also put your frame over their profile picture. To do so, hover over your profile picture and click ‘update profile picture’ and select ‘add frame’. Your frame should pop up in the list. Facebook Frames are a great way to spread your brand’s reach. The main purpose for marketers to use Facebook Frames is to create a frame that represents their branding, or to design a frame to promote an event their business is hosting. Facebook Frames gives your customers the opportunity to use your frame in their Facebook Stories, photos or profile image, building awareness for your business. Lilianne is a social media intern who is currently studying at Sheridan College in Mississauga, ON. This is great! Is there a way to track/see utilization of the frame? Thank you! How can I track who uses the frame? The gallery section only displays about 40 people and you can’t even click on them to see their name or information. You can’t track or message the people who used your frame. Can no longer see how many people are using my frames?? I used to be able to see the number of times a frame was used and on a different screen see thumb nails of the users but I can’t find how to do this anymore. It didn’t track the names of the people, or the demographics or allow me to message them, just a little thumbnail. Did they take that feature away? It’s driving me mad because I can’t find it. I just want to know how many people used it! And if they did take this away – why? And why wouldn’t they at least say this feature is no longer available? Thank you in advance for your time! Hai am creat a frame but it’s not aprroved why ? It doesn’t work, I have two approved frames and cannot use them. What area can you cover and what area can you not? Why is it that my approved frames do not show up to be used? 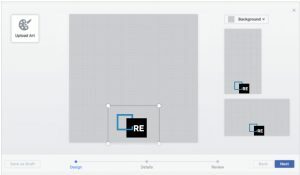 Every time i try to add a frame, my frames are never shown as a choice. Any updates about tracking the number of times a frame is used?